So many items on the menu looked delicious, but my wife and I finally settled on getting an omelet and eggs & hash browns respectively. The Philly Omelet my wife ordered was fresh, juicy and full of flavor. 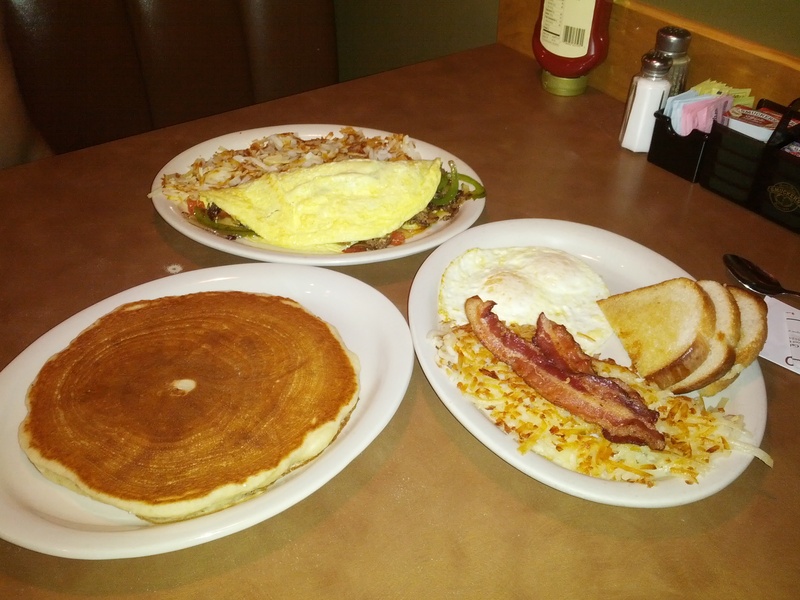 I decided on the regular classic, the “Cafe Java” – two eggs, hash browns and bacon with an extra buttermilk pancake on the side. My meal was prepared perfectly and tasted great and both of our meals had very generous portions. All in all, we were very pleased with our experience and we look forward to bringing the rest of the family back next time and having a chance to sample their lunch and dinner menu with the homemade desserts they have prepared as well! Cafe Java also has free WiFi and looks like a great place to relax and get some work done on a quiet afternoon. Thanks to everyone at Cafe Java for the tremendous experience and we look forward to seeing you again soon!